VisitScotland have launched a new ghost trail at Crathes Castle – just in time for Halloween. 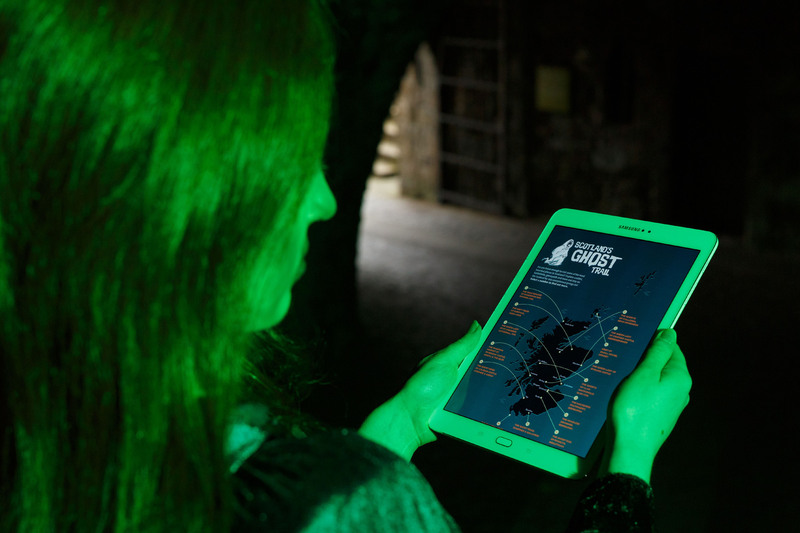 Scotland’s Ghost Trail will feature a collection of places throughout the country that are believed to be haunted and launches just in time for October 31. The 16th-Century castle is just one of a number of north and north-east locations that will be included in the trail. Skaill House on Orkney, Culloden Battlefield, the now long-gone Dava railway line and the waters off the coast of Sandwood Bay in Sutherland will also be offering ghostly trails. Mark Bishop, Director of Customer & Cause at the National Trust for Scotland, said: “Scotland’s history and heritage provides plenty of stories that make the hairs on the back of your neck stand up and we know that visitors love hearing about the darker side. So, where will be included in the ghost trails – and what is their backstory? Looming at the back of Greyfriars Kirkyard, the Black Mausoleum is one of the most feared structures in Edinburgh – many say with good reason. The tomb is said to be haunted by a particularly nasty poltergeist – thought to be the spirit of Sir George Mackenzie, the man who condemned many Covenanters to death in the 1600s. Visitors have reportedly collapsed, been grabbed by an unknown presence, had unexplained bruises appear on their bodies and many more dark occurrences.